Dies R Us: Shine! You are Fabulous! I've had a bit of a clean out of the studio & found 3 (thought to be lost) Lala Land stamps! Score!!! I also combined my old-but-new-again stamp with an old-but-rarely-used die the Spellbinders Heart Circle. 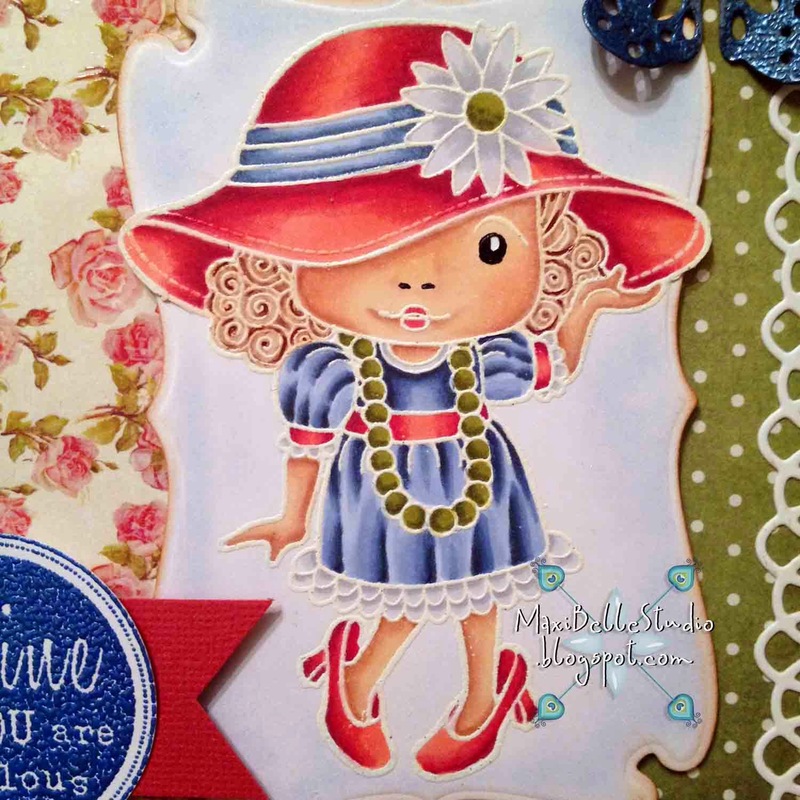 I stamped & embossed in white Lala Lands 'Dress Up Marci' before colouring her with Copics. I framed her (with a little bit of fussy cutting to make the hat overhang the frame) with the Docraft Xcut Rectangle Parenthesis #2 and a swipe of shimmer blue chalk. I layered Marci over a couple of strips of designer paper before tucking in the Spellbinders Heart Circle at the bottom of the stack. I embossed the 'Shine' sentiment with metallic blue powder and added a pennant too. I still felt like it was off balance so I used the Die-Versions Crochet Lace & the Doohickey Doily Flower to add a little more detail. Our last challenge closed yesterday over at the Challenge Blog, however our 9th challenge will be starting on September 1. The theme will be 'Back to School'. There are plenty of awesome DT creations from the talented Team A. To be in the running for the $10 voucher at the Dies R Us store just use a die in your challenge entry. So get your craft on & make something over the weekend! Fantastic! I LOVE the white embossing technique. It adds such a different look! And those dies just completed the great design! What a great card! You color so well; I don't know where you find the time! Super cute and beautiful design. Well done!